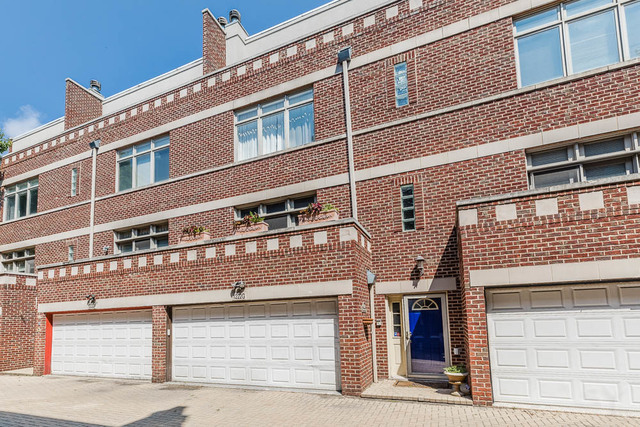 Over 3000 square foot 3 bed, 3.5 bath townhome in an unbeatable Wicker Park Location! Great foyer that leads up to a dining room and large chef's kitchen with 42 inch cabinets and stainless appliances. Deck and brick paver patio off kitchen is just one of three outdoor spaces. Large living room with outdoor deck space. Large bedroom sizes and a master suite with its own outdoor space, master bath with both standup shower and tub. Dark hardwood floors throughout the home, finished basement level with bath and ample storage throughout the home. 2 car garage and fee simple with no HOA fee. This home will not last long.